Last week, 80 young people, both 7th and 8th graders from Blågårdskolen, joined arki_lab for an urban run through Copenhagen. After a short introduction from Jeanette, our students, equipped with their smartphones, went out in the city to discover places and practice some site analysis. Using the hashtag #urbanrun14 on Instagram, they shared over photos of the city, reflecting on public space and the way they feel in it. 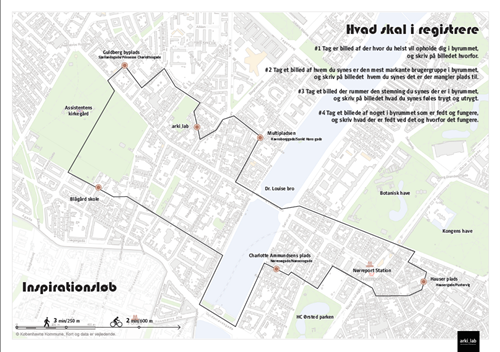 It was a successful session, the good weather was part of it, and students had fun while exercising both through the run and in urban spots like Guldberg byplads or Multipladsen at the crossing of Sankt Hans gade and Ravnsborggade. A lot of them discovered places they didn’t know, though these are very close to the school. We were surprised that their “daily movements area” is actually smaller than we thought. Even the teachers who saw themselves as real Copenhageners, discovered new places through the run ! The Urban Run was a way for both students and teachers to have a new perspective on their own neighborhood and to get inspired for the project ahead. Great inputs were made from the students, showing that they have an original approach to the urban environment, and that they also have their say about it. We are excited for the next steps with these young people from our neighborhood, this collaboration looks very promising. 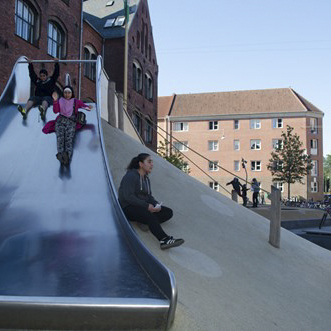 arki_lab cannot wait to see what will come up through their work in the next few months…which will be exhibited at the Danish Art Foundation 50th anniversary in november !